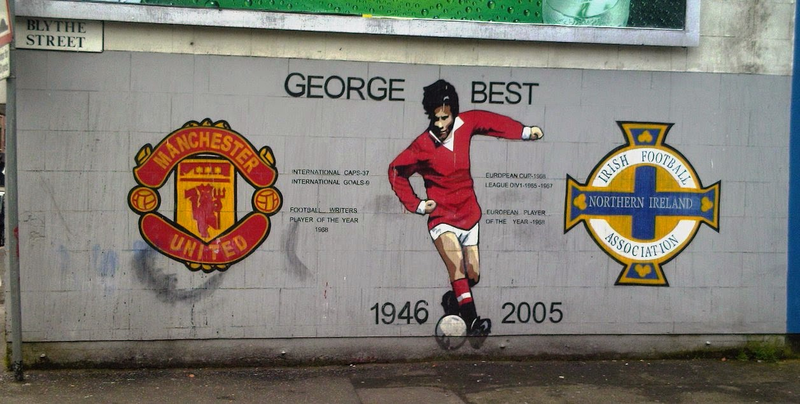 With yesterday marking the nine year anniversary of George Best's passing, Manchester United fans and Northern Ireland fans of a certain vintage likely paused for a brief moment this week to fondly reflect on the life of a true maverick genius. Born in East Belfast, Northern Ireland on May 22, 1946, Best honed his skills on the streets of his estate and with his school sides. He was discovered at age 15 by United scout Bob Bishop who sent manager Matt Busby the simple telegram stating, "I think I've found you a genius." 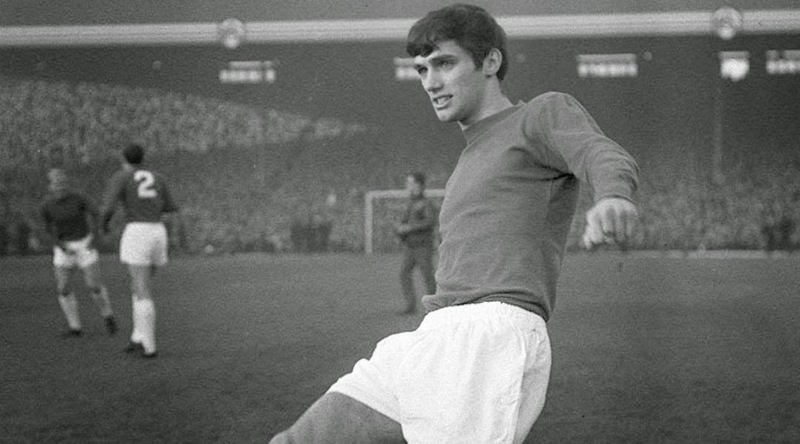 Despite struggling with home sickness in his first few years in Manchester, Best excelled in the youth side and made his debut for the senior squad on 14 September 1963 against West Bromwich Albion. Using a dazzling array of feints, tricks, creativity and raw pace the youngster quickly became a fan favourite at Old Trafford. Despite other sides attempting to stop him through rough tactics, Best was well prepared to deal with whatever was dished out thanks to his innate toughness and the bruising training sessions Busby had his side go through. With Best in their ranks, Manchester United captured the 1964/1965 English First Division Championship, the club's first since the Munich Air Disaster in 1958, and would take their place in the European Cup for the next season. 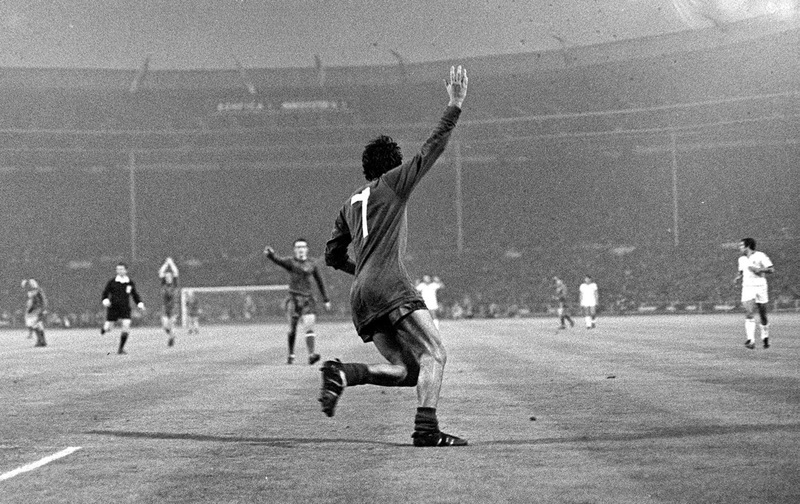 It was there that George Best would take on legendary status, after he eviscerated Benfica in the European Cup Quarter Finals, scoring two goals at the Estádio da Luz as United won 5-1. Following the match, Best was labeled 'O Quinto Beatle' (the Fifth Beatle) by the Portuguese media and suddenly at 19 became the arguably the first 'celebrity footballer' in England. He appeared on the TV show Top of the Pops and started to make appearances at all of the 'in' places around Manchester. 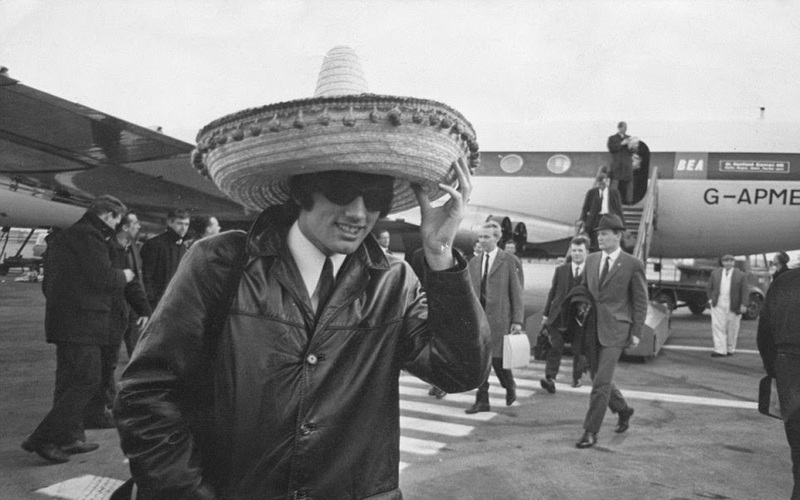 Fame, fortune and women followed and although an injury prevented Best from helping United to progress past the European Cup semi final in 1966, the media and fans had found a new darling. 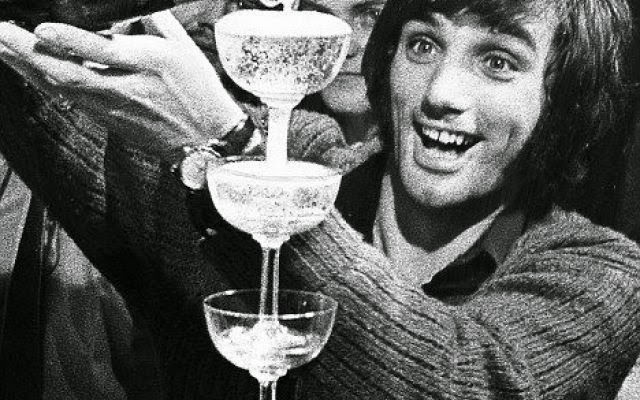 Although his taste for the nightlife and the drinking problems that would mar much of his life began to manifest itself even then, his excellence on the pitch continued as he helped United to another League title in 1966/1967. The following season Manchester United at long last reached the European Cup Final at Wembley, where they would again face Benfica. With the match level at 1-1 in extra time, Best ran onto a flicked on ball and scored an early goal to put United ahead in a match they would eventually win 4-1. It was one of the greatest nights in the club's history, but unfortunately it would mark the end of an era as the side of Charlton and Law, and the rest of the side was already aging. That night at Wembley was the pinnacle of Sir Matt Busby's achievements with the club, and within a year he would retire from management. As United began a period of decline, Best's off the pitch activities began to overshadow his on pitch accomplishments. He opened nightclubs, a clothing boutique and several restaurants, while his drinking problems increased. Leaving United at age 26, he drifted between clubs in America, Ireland, Scotland, and again in England without ever settling anywhere for long. Internationally he made 37 appearances for Northern Ireland, but despite his great talent never played in a major tournament. After football his alcoholism led to numerous run ins with police over drunk driving charges, jail time, embarrassing television appearances, and financial problems. He once said that, "I spent a lot of money on booze, birds, and fast cars. The rest I just squandered." As a direct result of his alcoholism, George Best died of lung failure and multiple organ failure on November 25, 2005 at the age of 59. Despite his troubled private life he's still fondly remembered for the joy he brought to football fans who were lucky enough to see him in his prime. He's widely thought of as the greatest player to ever come out of Great Britain and Northern Ireland. 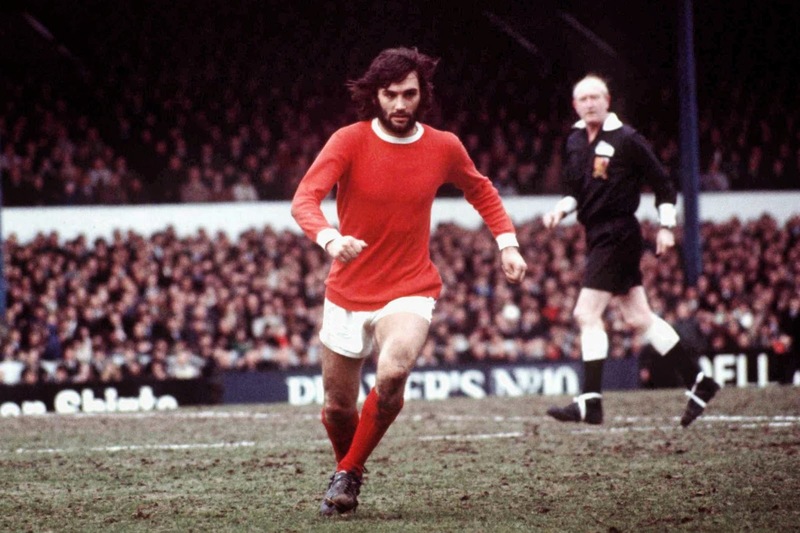 As the saying goes: Pele Good, Maradona Better, George Best.